Have you heard of a Bento Box? Well, I got one to try out with Dylan's lunches. 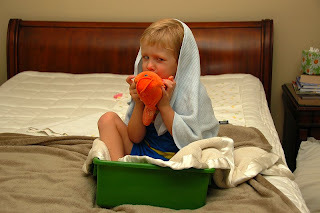 He heard me talking about 'bento boxes' with some friends and decided that his toy bin was a 'bento box' and has been practically living in that thing this past week! 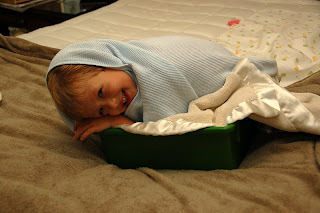 Playful little boy, in his Bento Box. Tonight I made his first round of treats for his box to take to preschool tomorrow. I figure if nothing else, I can try to fancy-up his meals and get him to try new things. 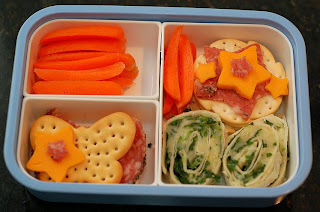 This time I did carrots, salami and cheese in star shapes, butterfly crackers, and spinach-cheese pinwheels. I'm pretending that he'll actually try the spinach. A mom can hope, can't she? YEAH!! I love that lunch. It looks awesome. 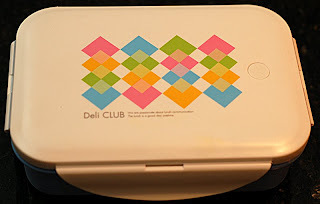 Hey - lunch looks great, I've seen the bento box before, but haven't gotten it yet - I'm inspired. I'll check out Julie's website too! Cheers, loved all the pictures today! What does Dylan think about the election? ?